Thrombotic Risk (TRC) Genotype Control is intended for in vitro use as a control product to monitor the analytical performance of extraction, amplification and detection of test systems used in the qualitative measurement of the Factor II (Prothrombin) and Factor V genes for mutations Factor II G20210A and Factor V Leiden. This product is intended to be extracted and analyzed routinely with each Factor II and Factor V test run. The TRC Control is designed to monitor the presence of mutations Factor II G20210A and Factor V Leiden, the most common genetic risk factors for thrombotic events. 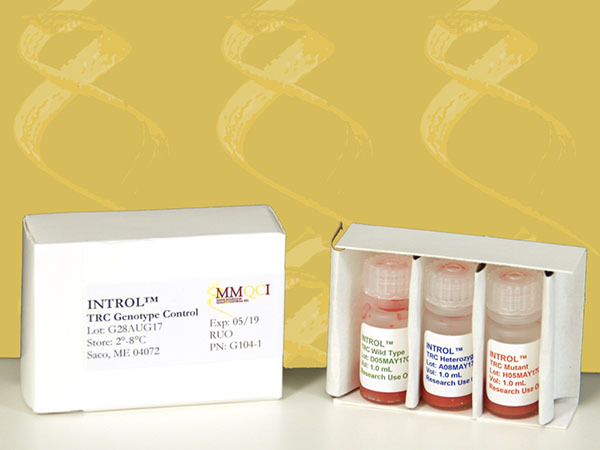 TRC Control is provided for Research Use Only (RUO).